Here's a look at legitimate jobs with no commute, parking fees or office gossip. Price is a customer service agent for an insurance company, but not in a downtown office. 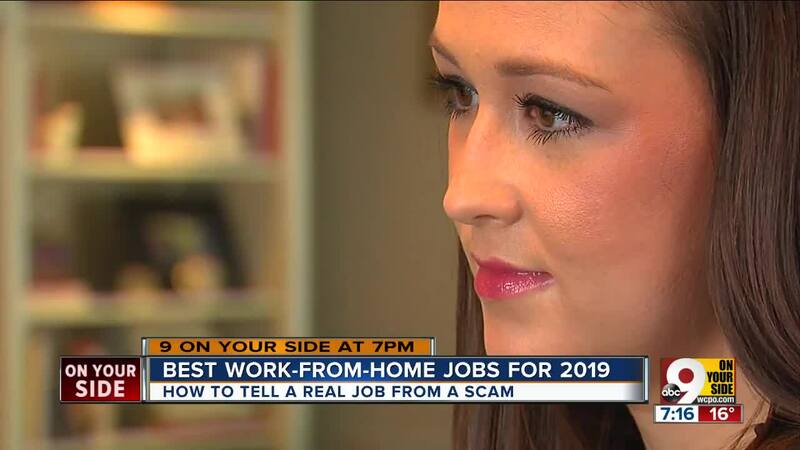 She is one of 8 million Americans who now work from home, according to the US Census Bureau. In her case, it is in a Villa Hills, Kentucky, apartment. Karen Hill, meantime, is an accountant who two years ago gave up her suburban office building for the comfort of her home in Cheviot, Ohio. She can take breaks to care for her daughter, or the family dog, or to just run to the grocery store. "If you have a doctor's visit during the day for one of your children or yourself, there's just flexibility," she said. On the other side of the Ohio River, Toni Price works her insurance job through Sykes Home , a Tampa-based company that handles call center work for hundreds of companies. Price, who recently married and moved to Kentucky from the Philippines, loves being able to spend time with her husband during the day.